Local singer and song writer Apolosi Baroi was laid to rest at Sawani Village in Naitasiri on Saturday. 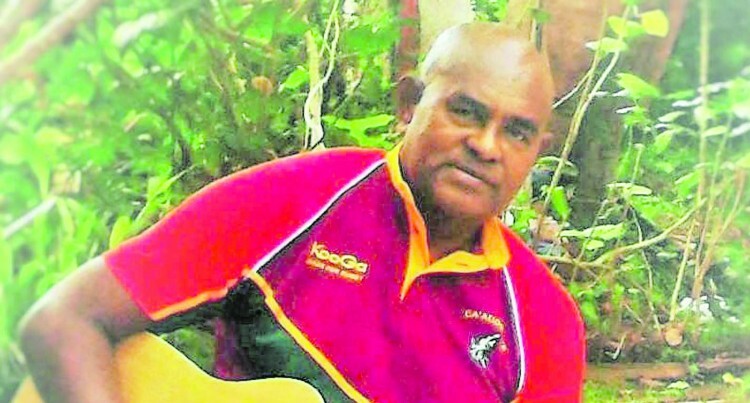 Mr Baroi, 60, a retired music and physical education teacher wrote the lyrics of iTaukei hit songs Nasi Dredre Ga, Luvuci Au and Noqu Teacher and also gospel songs for his church. The songs were sung by popular band Voqa kei Valenisau. Originally from Wailevu in Cakaudrove, the father of three retired at his wife’s village, Sawani. The local singer and song-writer was remembered on Saturday for more than just his songs. Mr Baroi wrote the lyrics of the song Nasi Dredre Ga in memory of his late aunt Adi Asena Dirabe Komainasava who was a nurse at Ba Hospital in 1977. Noqu Teacher was in memory of his very first teacher, his mother Adi Kelera Valu who inspired him to write the song as she was his role model. The late Mr Baroi had a passion for teaching. He taught for 30-years. “Many in Labasa would know him as he used to be a master of ceremony at various functions in and around the town and he touched many hearts,” Adi Kelera said. She said her father passed away last week after singing all the old classic Fijian songs. “My uncle would play the guitar and he would be singing all the old Fijian songs,” she said. “We would always wake up every morning to his voice singing. She added that her dad will be greatly missed by his family and the local music industry.